Achieve your goals and reach your full potential. Interested in volunteering? Click here to learn more! 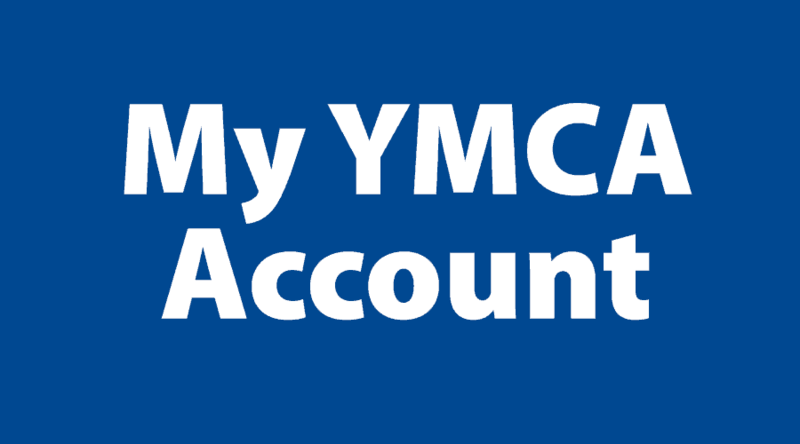 The YMCA offers programming specifically designed for preschool and youth to keep them active, engaged and having fun. These programs vary by location, but ensure every member of the family have the opportunity to foster lifelong habits of physical fitness and well-being, while having fun. Here are some of the programs we offer. Please note, that not all classes are available at all of our locations. Please view the schedule from your branch for more details. We can host your next Birthday Party! Celebrate, play and explore with friends and family at your next party! With Staff facilitated options available your party could include fun in the pool or the gym, setting up your day to be filled with fun and excitement. Options vary at each location, contact your membership services desk for more information. All Sport – This program is an opportunity for participants to engage in a variety of different sports and practice physical literacy skills in sport-based games. It is all about participating, regardless of your ability level. Children will learn the basic skills needed to play sports like soccer, floor hockey, basketball, and more. This is a weekly drop-in program unless otherwise indicated. Sports offered may vary by centre and age group. Child Karate – Karate is a martial art that combines the use of punches, kicks and defensive techniques. It is a great way to get fit while learning important life skills such as self-defense, discipline, and respect for self and others. As a result of learning this moving art form, they will also build core stability, agility, balance, flexibility, and endurance. A uniform is available however not required. This program includes one structured Karate lesson per week, led by a trained professional instructor. Creative Play – It’s easier to learn when you’re having fun! Kids explore their creativity and imagination through activities such as drama, art, games, circle time and much more. This is a weekly drop-in program unless otherwise indicated. Creative activities may vary by centre and age group. Family Gym – Bring your kids and enjoy some quality time together while being active at the YMCA drop-in Family Gym program. This is a time for parents and children to enjoy use of the gym for a variety of available sports and activities together. It is also a great time to connect with other families within the community. Parents must accompany and directly supervise children. Equipment will be made available for your use. Fun Food Friday’s – Learn the basics of nutrition and food preparation while preparing simple dishes. The goal of this program is to increase knowledge on how to live healthier lifestyles by learning how to prepare nourishing meals. Dishes offered may vary by centre. Preschool Gym – For those days when the weather isn’t cooperating, you can spend quality family time together by being active at the YMCA! Come in and play in our gym where there is a variety of fun equipment for preschoolers such as toys, mats, balls, etc. An adult must accompany and directly supervise children at all times. Stay & Play – This program provides a safe, fun, and free environment for children to participate in so that parent(s) can have some time to enjoy the health and fitness facility and get a workout in. Parent(s) or caregiver(s) are required to remain in the facility. Prerequisite(s): Available to children ages 3 years old and under. Costs: Included in YMCA Classic and Premium memberships at the Barrie and Innisfil YMCA only. Swim & Skate – Looking for something fun to do with the kids during the weekday. Grab your swimsuit and your skates and drop by the Innisfil YMCA. The Swim & Skate program is offered every Wednesday from 10:00am to 11:00am. Be sure to bring your own skates and helmets, as skate and equipment rentals are not available at the facility. This FREE program is offered in partnership with the Town of Innisfil. Wheel Chair Basketball – Come out and see what Wheel Chair basketball has to offer! This program provides a great workout in a fun, fast-paced, inclusive environment and is designed for both wheelchair users and non-wheelchair users to come together. Adapted basketball skills are taught throughout the session. All ability levels are welcome, and no prior wheelchair experience is needed. A basic understanding of basketball rules and game play is preferred. Wheelchairs are provided. Y Kids – The YMCA’s popular Y Kids program provides supervised activities for children so that parents and/or guardians may workout or participate in a program! This drop-in program fosters social development and allows your child to experience a variety of activities, including crafts, sports, and outdoor play. Prerequisite(s): Available to children ages 3 years old to 12 years old. Child All Sport: Skills & Drills – In the Skills & Drills program, children will take their fitness to the next level as they branch out and play a variety of different sports each week. This cardio-focused program is instructed by a YMCA staff member and incorporates various intervals and drills, balance & core training movements. Experienced participants will have the opportunity to put their skill levels to the test, while beginners will be provided with expert support and instructions to learn and develop new skills. Prerequisite(s): Available to children ages 6 years old to 12 years old. Child Sport Fundamentals – The Child Sport Fundamentals program will provide your child with a foundation for physical fitness that will last a lifetime. Participants will train through agility, balance, coordination and fundamental sports skills drills and circuits. Certified Sports Movement Coaches work with participants to hone their skills and get kids active in a fun, inclusive and safe setting. Preschool Basketball Skills & Drills – The Basketball Skills & Drills program will focus on learning the basics of basketball in an active, inclusive and safe environment. A variety of fun, age-appropriate activities will be facilitated each week allowing participants to build on both basketball and fundamental movement skills. The skills will then be applied during an exhibition game near the end of each class. The program is also designed to emphasize sportsmanship and team play. Preschool Floor Hockey: Skills & Drills – The Floor Hockey program emphasizes physical literacy and aims to help children develop and build upon their fundamental movement skills. This is achieved through a variety of fun, age-appropriate games, and activities that promote this development. The skills will then be applied during an exhibition game near the end of each class. The program is also designed to emphasize sportsmanship and team play. Preschool Soccer: Skills & Drills – The Soccer program will focus on learning the game of soccer in an active, fun and safe environment. Participants will be exposed to basic soccer skills through a variety of activities that will be facilitated each week allowing participants to build on fundamental movement skills. The skills will then be applied during an exhibition game near the end of each class. The program is also designed to emphasize sportsmanship and team play. Preschool Sport Fundamentals – The Preschool Sports Fundamentals program is a great way to introduce your child to the foundations of sport in a fun, inclusive and safe setting. The goal of the program is to increase your child’s agility, balance, and coordination through energy burning, fun activities, and imagination. Through this program, children will learn a variety of sports and social skills that foster confidence. Active Artists – The Active Artists program is sure to release the artistic side of your child! The program is facilitated by YMCA staff and children are introduced to a new art activity each week. ABC’s – The Agility, Balance & Coordination program teaches the fundamental skills that are essential components of physical literacy. The program improves your child’s motor skills, confidence, hand-eye coordination, and athletic development through sport and exercise. Your child will learn agility, balance, and coordination through energy burning, fun activities and training drills. Age appropriate training drills will be applied to all classes. Chefs – The Chefs program is an immersive experience that helps children discover their inner culinary artist. Children learn basic nutritional facts and develop food-preparation skills as they prepare simple and delicious recipes. Trained YMCA staff mix it up each week with games, preparation techniques, and cooking demonstrations. Participants develop cooking capabilities and healthier eating habits that they can take home to their families. Childminding – This program provides a safe and fun environment for children to participate in so that parent(s) can have some time to enjoy the health and fitness facility and get a workout in. Parent(s) or caregiver(s) are required to remain in the facility. Cool Science – Cool Science is geared for active and curious preschoolers or children. If your child has a passion for exploring and experimenting, they’ll have an outstanding time exploring the silly side of science. Learn about slimy creatures, oozing fluids, and other disgusting stuff. Come prepared to explore and get dirty. Dance – The Dance program is designed at an introductory level and is geared towards teaching the beginner dancer, the foundations of dance movements and routines. Participants will explore rhythm, coordination and key dance techniques with certified YMCA Instructors. Children will be introduced to a fun new way to stay active and be encouraged to let their creativity flourish. Fundamental Movement & Sports – The Fundamental Movement and Sports program is a great way to introduce your child to the foundations of sport in a fun, inclusive and safe setting. The goal of the program is to increase your child’s agility, balance, and coordination through energy burning, fun activities, and imagination. Through this program, children will learn a variety of sports and social skills that foster confidence. Hip Hop – Dance can be an incredible workout! The Hip Hop program will teach participants beginner-level combinations. It is designed to encourage a love of dance and movement while developing a stronger sense of body awareness and coordination. The class will use the latest sounds in R&B, Dance Music, Pop and Old School in combination with classic hip-hop dance elements. Taekwondo – Taekwondo is a Korean art form that promotes full-body physicality with a focus on flexibility. Children will learn hand and foot techniques, patterns, self-defense, and sparring. In addition to learning self-defense and basic fighting techniques, kids also learn focus and discipline, improving their confidence and self-esteem. Badminton – Come to the YMCA and join other participants in a friendly game of badminton. It’s a great way to stay fit, meet other youth in the community, and have fun. Teams are made up on arrival and games are self-refereed. Friendly staff are on-site to answer questions and provide instruction if needed. Basketball – Come to the YMCA to shoot some hoops or play an informal game of basketball – the game that was invented at the YMCA. It’s a great way to stay fit, meet other youth in the community, and have fun. Teams are made upon arrival and games are self-referred. Friendly staff are on-site to answer questions and provide instruction if needed. Floor Hockey – Bring your friends or make new ones while you participate in a friendly game of floor hockey at the YMCA. It’s a great way to stay fit, meet other youth in the community, and have fun. Teams are made up on arrival and games are self-refereed. Friendly staff are on-site to answer questions and provide instruction if needed. Soccer – It’s time to burn some energy! Come to the YMCA and join other participants in a friendly game of soccer. It’s a great way to stay fit, meet other youth in the community, and have fun. Teams are made upon arrival and games are self-referred. Friendly staff are on-site to answer questions and provide instruction if needed. Volleyball – Want to meet new friends and hone your volleyball skills? Come to the YMCA and join other youth members in a friendly game of volleyball. It’s a great way to stay fit, meet other youth in the community, and have fun. Teams are made up on arrival and games are self–refereed. Friendly staff are on-site to answer questions and provide instruction if needed. Youth Allsport – In the Youth Allsport program, participants will take their fitness to the next level as they branch out and play a variety of different sports each week. This cardio-focused program is instructed by a YMCA staff member and incorporates various intervals and drills, balance & core training movements. Experienced participants will have the opportunity to put their skill levels to the test, while beginners will be provided with expert support and instructions to learn and develop new skills. Prerequisite(s): Available to children ages 12 years old to 16 years old. Youth Pickleball – Pickleball is one of the fastest growing paddle sports in North America. It is a combination of tennis, badminton and table tennis. Through play, participants develop strong hand, eye and foot coordination, which is necessary for all facets of sports and fitness. Pickleball is fun for players of all activity levels. Youth Wellness – The Youth Wellness program is designed to equip participants with the knowledge to safely work in the Wellness Centre and to responsibly share the space with adult participants. The course is taught by YMCA fitness professionals and is divided into three levels. Each level takes approximately 5 weeks to complete. Successful completion of each level will grant participants with access to use various parts of the Wellness Centre and its equipment. Youth Zone – The YMCA Youth Zone is a dedicated, safe and inclusive space for youth. This is a space where youth ages 10-17 years old can come to, relax and hang out with friends. It is a place where youth can build positive connections with youth leaders and peers allowing them to expand their support system. Youth are exposed to YMCA programs, services and staff allowing them to understand all of the resources that are available to them through the YMCA. The Youth Zone is equipped with board games, ping pong, foosball and more! Youth Badminton: Skills & Drills – The Youth Badminton Skills & Drills program is led by YMCA staff and geared towards participants with beginner or intermediate level skills. Participants are required to bring their own racquet in order to learn the fundamental skills and strategies of the sport. Youth Basketball: Skills & Drills – The Youth Basketball Skills & Drills program is led by YMCA staff and focuses on learning the basics of basketball in an active, inclusive and safe environment. A variety of fun, age-appropriate activities will be facilitated each week allowing participants to build on both basketball and fundamental movement skills. The skills will then be applied during an exhibition game near the end of each class. The program is also designed to emphasize sportsmanship and team play. Youth from 12 to 16 years old are divided into different classes based on age. Youth Floor Hockey: Skills & Drills – The Youth Floor Hockey Skills & Drills program is led by YMCA staff and emphasizes physical literacy, aiming to help youth develop and build upon their fundamental movement skills and movement vocabulary. This is achieved through a variety of fun, age-appropriate games, and activities that promote skills such as passing, shooting, and ball handling. The skills will then be applied during an exhibition game near the end of each class. The program is also designed to emphasize sportsmanship and team play. Youth Karate – Karate is a martial art that combines the use of punches, kicks and defensive techniques. It is a great way to get fit while learning important life skills such as self-defense, discipline, and respect for self and others. As a result of learning this moving art form, they will also build core stability, agility, balance, flexibility, and endurance. This program includes one structured Karate lesson per week, led by a trained professional instructor. Youth Leaders: Advanced – Learn leadership skills, volunteer, and earn certificates in either the Aquatics Leadership or Recreation and Fitness Leadership stream. Participants will attend two overnight leadership retreats at YMCA Geneva Park in the Fall and YMCA Camp Kitchikewana in the Spring. Advanced Youth Leaders may be eligible to participate in a YMCA Canada Youth Exchange if they have not participated before. Advanced Leaders going into Grade 11 are encouraged to apply to be a part of the YMCA of Simcoe/Muskoka Youth Advisory Committee which contains many exciting opportunities including an International Youth Exchange and High School course credit equivalencies. Youth Leaders: Intermediate – Learn leadership skills, volunteer, and earn certifications in either our Aquatics Leadership or Recreation and Fitness Leadership stream. Participants will attend two overnight leadership retreats at YMCA Geneva Park in the Fall and YMCA Camp Kitchikewana in the Spring. In addition, Intermediate Leader’s may be eligible to participate in a YMCA Canada Youth Exchange. Youth Leaders: Junior – Learn leadership skills, complete volunteer training and pick an Aquatics Leadership or Recreation and Fitness Leadership stream. Junior Youth Leaders will attend two overnight leadership retreats at YMCA Geneva Park in the Fall and YMCA Camp Kitchikewana in the Spring. Youth Leaders in Training – Our Youth Leadership Program combines leadership training, teamwork and volunteer opportunities to help participants build self-confidence and meaningful connections with peers and members of the community. As an introductory to the program, participants will make new friends, develop valuable skills and learn the basics of leadership through fun, hands-on activities during a 45-minute session. The Youth Bootcamp program is led by YMCA staff who will provide participants with a series of exercises that are designed to enhance fitness levels while having fun. The workout consists of sports drills, lightweights, jump rope, circuits and body weight exercises to help improve strength and stamina for any activity. Using a combination of cardio and strength training, it is a great way to burn calories, get fit and make new friends. Prerequisite(s): Available for participant’s ages 9 to 13 years of age. Youth Run Conditioning – In the Youth Run Conditioning program participants will learn about the health benefits of running, the importance of proper warm up and cool down exercises and the impacts on endurance and speed. Participants will also learn and develop proper running form, speed work, full body conditioning, and strength training all while having fun and getting a few kilometers in! The program will focus on helping participants develop the skills required to support long distance running goals. Youth Soccer: Skills & Drills – The Youth Soccer Skills & Drills program is led by YMCA staff and focuses on learning the game of soccer in an active, fun and safe environment. Participants will be exposed to basic soccer skills (i.e. passing, receiving, dribbling, shooting and more) through a variety of activities that will be facilitated each week allowing participants to build on fundamental movement skills. The skills will then be applied during an exhibition game near the end of each class. The program is also designed to emphasize sportsmanship and team play. Youth from 12 to 16 years of age will be divided into different classes based on age. Youth Triathlon Club – The Youth Triathlon Club promotes a lifelong passion for physical activity while focusing on swimming, biking, and running. While the program focuses on the fundamentals and techniques of triathlon training it also aims to build endurance and enhance fitness skills. A larger goal of the program is to develop self-esteem, teamwork, goal setting and self-discipline. The program strives to create a healthy and safe environment for kids to learn, laugh, and grow. This drop-in program runs year round and can include pool and land components as well as outdoor training. Participants should comfortably be able to swim the width of the pool. Youth Volleyball: Skills & Drills – The Youth Volleyball Skills & Drills program is led by YMCA staff and emphasizes physical literacy, aiming to help children develop skills such as serving, spiking and bumping through skill-focused play in a supportive non-competitive setting. This is achieved through a variety of fun, age-appropriate games, and activities that promote this development. The skills will then be applied during an exhibition game near the end of each class. The program is also designed to emphasize sportsmanship and team play. Youth from 12 to 16 years of age can enjoy the fundamentals of volleyball. Respite – The Respite program is available for families with a child or children with special needs. Children can participate in creative play, sensory games, gym activities, and swimming programs. The program provides an opportunity for caregivers to take a break from the tiring work of caring and have an opportunity to take a moment for themselves to recharge and relax. It also provides children with an opportunity to participate in fun activities, meet other children in the community, and a break from their everyday routine. YMCA staff support is offered at a ratio of 1 staff: 2 children. YMCA Youth Exchanges Canada – Unlock your true potential. In the YMCA Youth Exchanges Canada Program, you can develop leadership skills, meet new people, and become immersed in a new culture. Groups of 10-30 teens aged 12 to 17 years old are matched with a similar-age group from another province or territory. Each group will travel to the other’s community for at least five days to experience a new culture and discover new traditions. As part of this great adventure, both groups will work together on a project that will have a significant impact on that community. Youth Basketball: League – The Youth Basketball League is for youth of all skills and abilities looking for an organized Basketball experience. The game schedule depends on the number of participants/teams entered. Leagues occur over a number of weeks. For team sports, participants may register individually and be placed on a team or a whole team can enter. Led and refereed by YMCA staff. Registration required. Fee applies. Youth Floor Hockey: League – The Youth Floor Hockey League is for youth of all skills and abilities looking for an organized Floor Hockey experience. The game schedule depends on the number of participants/teams entered. Leagues occur over a number of weeks. For team sports, participants may register individually and be placed on a team or a whole team can enter. Led and refereed by YMCA staff. Registration required. Fee applies. Youth Leader Treat – The YMCA of Simcoe/Muskoka offers leadership retreats for youth enrolled in Junior, Intermediate and Advanced Youth Leader programs. The retreats provide youth with an opportunity to connect with their peers and share stories, consolidate their leadership learning’s and make new friends. Youth Metafit – Youth Metafit is a high-intensity workout that includes a series of body-weight exercises with interval style training that is designed to target large muscle groups and have a positive impact on your heart health. One session keeps your metabolism working rapidly for up to 24 hours, so you’ll still be burning fat long after your training session is complete. Youth Night – On YMCA Youth Nights, participants can have fun at the YMCA in a variety of ways, in a safe and inclusive environment. From swimming, cooperative games, youth leadership and open gym – there is something for everyone. Every Friday night a new theme is showcased so be sure to come out, meet new friends and get active together! Youth Soccer: League – The Youth Soccer League is for youth of all skills and abilities looking for an organized Soccer experience. The game schedule depends on the number of participants/teams entered. Leagues occur over a number of weeks. For team sports, participants may register individually and be placed on a team or a whole team can enter. Led and refereed by YMCA staff. Registration required. Fee applies. Youth Volleyball: League – The Youth Volleyball League is for youth of all skills and abilities looking for an organized Volleyball experience. The game schedule depends on number of participants/teams entered. Leagues occur over a number of weeks. For team sports, participants may register individually and be placed on a team or a whole team can enter. Led and refereed by YMCA staff. Registration required. Fee applies. Together as Girls (TAG) – Be strong! Be courageous! Be you! Join TAG and meet some amazing girls and mentors in a safe and supportive environment. Each class will contain both physical activities as well as an end-of-class discussion. During the discussion part of the class, we will explore the topics that matter to you. We’ll discuss topics such as positive body image, healthy eating, female empowerment, positivity, self-esteem, confidence and much more.